On 12.04.2016, Alpha Trains Luxembourg S.à.r.l. and Siemens published a deal for six Vectron locomotives, and four locomotives as option, to be delivered in 2017. Included in the order was a full service and maintenance package. The multisystem electrics will be equipped with all relevant systems for use in Germany, Austria and Italy, and will have ETCS on board. 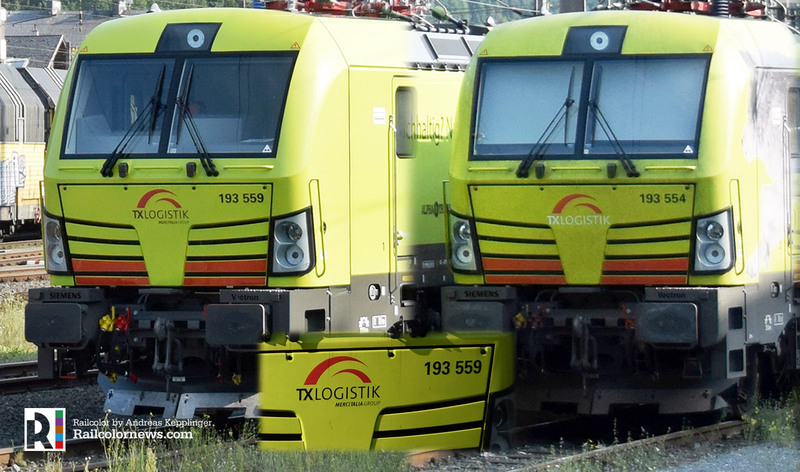 All six locomotives of the fixed order will be leased to TX Logistik from delivery. In March 2017 the news was published that Alpha Trains decided to turn the option into a fixed order, bringing the total to ten. 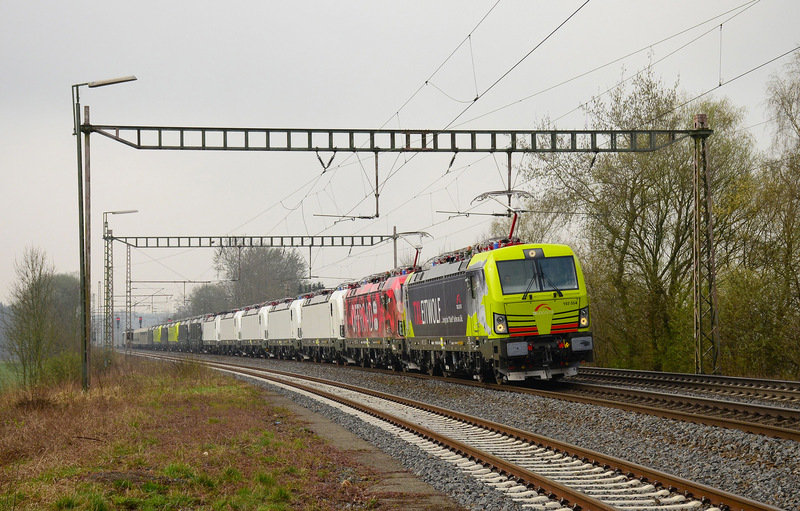 Early this month, two more Vectron locomotives were added to the fleet of Alpha Trains, and TX Logistik; 193 556 and 557. The first one mentioned is now seen with new stickers on its sides, clearly inspired by double O seven... 'license to rail". Two more Vectrons for Alpha Trains have entered revenue service. On 02.08.2017 we received the first images of 193 556 and 557 out and about or pulling their first freight trains. 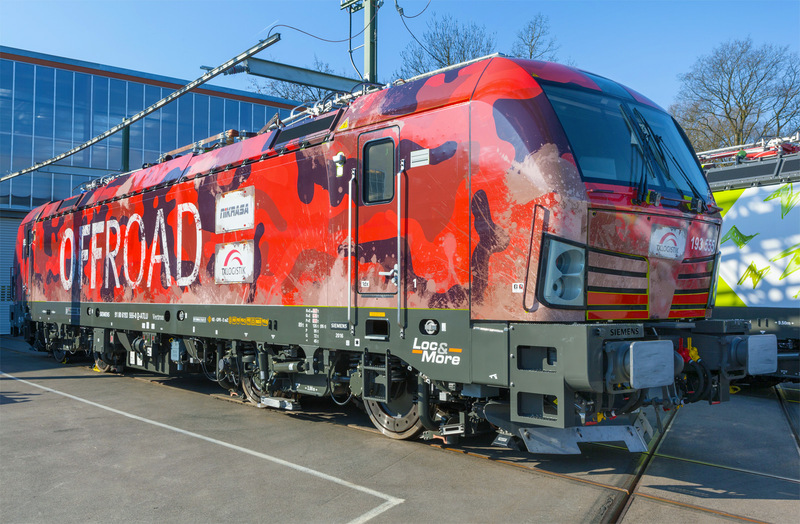 On 26.04.2017, lease company Alpha Trains and railfreight operator TX Logistik took delivery of the last Vectron locomotive of a serie of six, that were ordered in 2016. The machine with no. 193 555 is completely wrapped in a 'Off-road' themed livery, promoting TX Logistik's NiKRASA system, with which it is possible to make non-craneable semitrailers craneable. We expect the 193 555 to be presented during the 'transport logistik' exhibition in two weeks in Munich. TX Logistik has also announced that the delivery of four additional locomotives, of which several have already been built, will commence in August 2017. New: A nice image of 193 554, that has the same livery, by Sebastian Winter. This year, Siemens will not hand-over six, but 10 new Vectron locomotives to lease company Alpha Trains. In April 2016, six Vectron multi-system locomotives were ordered, now four have been added (the option). All will be leased out to freight operator TX Logistik, that will use them on for north-south Trans-Alp freight services (Padborg - Verona). The machines are thus equipped for Germany, Austria and Italy. On 29.03.2017, the first two machines were officially handed over the Alpha Trains (no's 193 550 and 551, see title image). This year, the remaining eight units will be handed over in three phases. 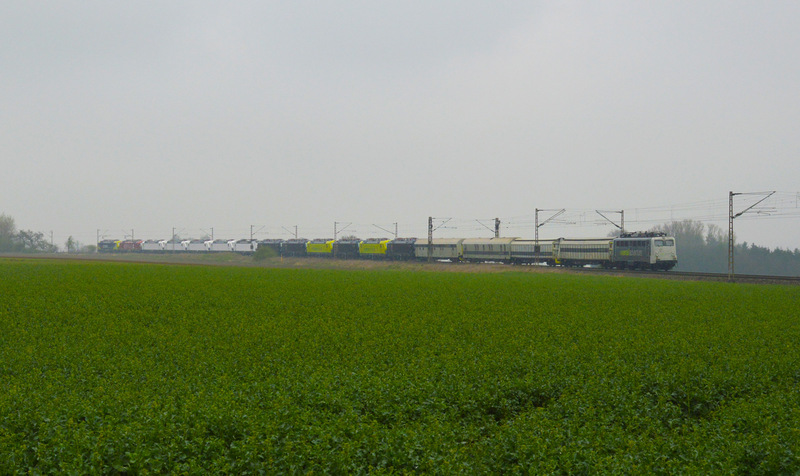 All locomotives have ETCS on board and have a top speed of 160 kph. Alpha Trains Luxembourg S.à.r.l. 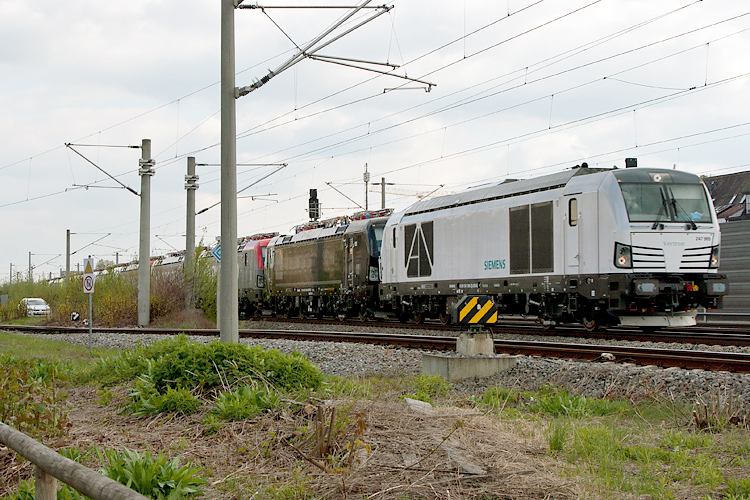 has reached an agreement with Siemens regarding the purchase of six Vectron locomotives with options for a further four machines. Included in the order is a full service and maintenance package. The multisystem electrics will be equipped with all relevant systems for use in Germany, Austria and Italy, and will have ETCS on board. 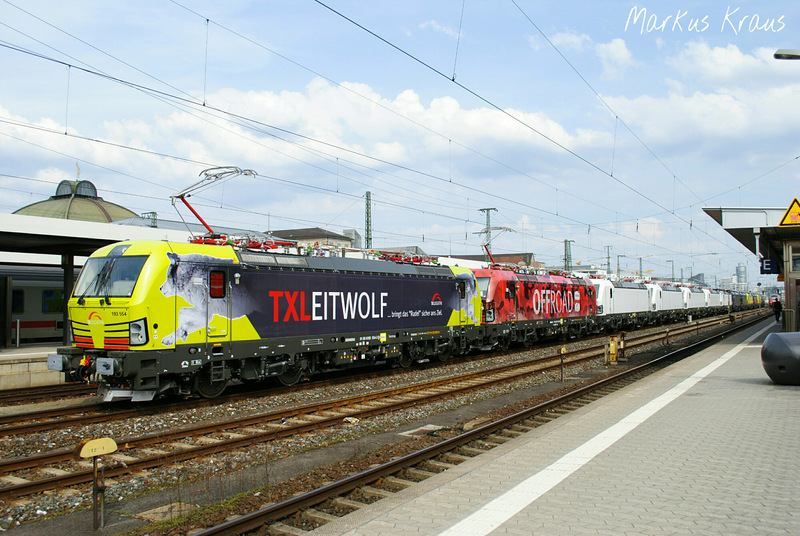 All six locomotives will be leased to TX Logistik with deliveries starting in early 2017. According to Alpha Trains the locomotives will be delivered carrying a special design. We are curious what the final result will be.